Tidewater Lumber and Moulding, Inc. Hardwood flooring and Interior moulding manufacturer. M-F 7:30am - 4pm, Saturday 8am - 12pm. Sunday, Closed or by appointment. Tidewater Lumber and Moulding, Inc. opened it's doors in 1981. My father, Ed Voorhees started the business by providing value added services to lumber such as planning, ripping, and moulding. Today we carry on his legacy of quality by stocking over 25 species of specialty lumber. I just wanted to thank everyone at Tidewater Lumber for the tremendous help through my multiple transactions. I received my order ahead of schedule and in good condition. My dealings, in person, via email and over the phone with Tidewater have been pleasant to say the least. I have already recommended Tidewater to several people including my builder and flooring installer. Everyone, including myself, have been impressed with the quality and reasonable price of your products. I look forward to working with you further in the future, and I hope that gain some new clients from my recommendations! A family run business. We specialize in providing our clientel with the highest quality lumber, hardwoods & mouldings while offering a personalized level of customer service. 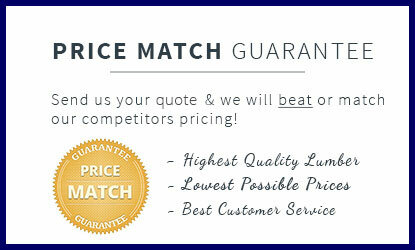 Let us give you our best price and show you why we’re the best specialty lumber company in the south!